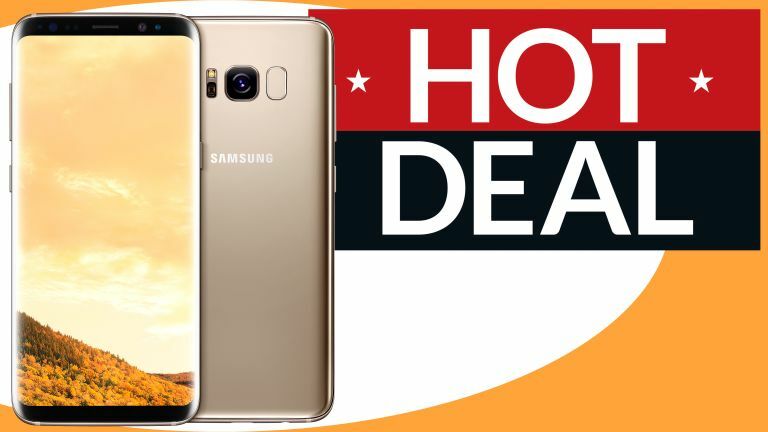 While it might not be the latest addition to the Galaxy S smartphone range, but there's no denying the Samsung Galaxy S8 is still among the most desirable devices of the last few years – and it's now available at a tantalisingly deal-tastic price point. If you're in the market to upgrade your smartphone, but don't fancy coughing-up the sort of monthly cost needed to unlock the latest flagship from Samsung, this is one of the best deals we've seen on the Galaxy S8. Fonehouse is offering a serious amount of cashback on the Galaxy S8, with up to £500 available when you plump for the handset on Vodafone. Our pick is the Galaxy S8 on Vodafone with £350 auto cashback, which means the money will be transferred into your account after you hit the 'Buy Now' button. Thanks to that hassle-free windfall, you'll effectively be paying £22.42 per month for a barnstorming 80GB of 4G mobile data, unlimited texts and unlimited minutes. If you're looking for a solid deal on the Galaxy S8, this is it. There's generous helpings of 4G mobile data to be had, as well as unlimited calls and text messages. With the £350 cashback automatically transferred into your account, there's nothing not to like. Fonehouse says the automatic cashback could take around 120 days to process after your brand-new smartphone has been connected. There's also £500 cashback available with some contracts, which means you'll be paying a paltry £16.17 per month for 80GB of mobile data, unlimited minutes and text messages. However, you'll have to work a little harder for the cashback compared to the £350 auto cashback offer. Fonehouse will pay the cash in smaller instalments, with customers required to show their monthly receipts every three months to get the money back into their account. If you don't mind going through the hassle of claiming your cashback every three months of your 12-month contract, then this is an amazing Galaxy S8 deal. There's generous helpings of 4G mobile data to be had, as well as unlimited calls and text messages. If you don't want to sign-up to a contract, but would still like to get your hands on the Galaxy S8 – Samsung has slashed the price of the SIM-free handset by £160. It now costs £449 for the Galaxy S8, or £539 for the Galaxy S8 Plus.